Despite his early success, Weston only sold ‘one or two’ of his sketches over a 30 year period later in his career. The art world took on new directions, and newer artists turned their attention to other, urban themes. 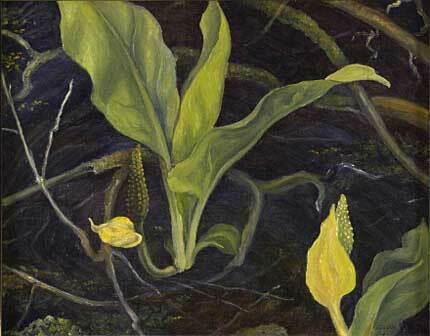 (23) Weston continued to paint his favorite subjects including, as this newspaper article notes, skunk cabbage.